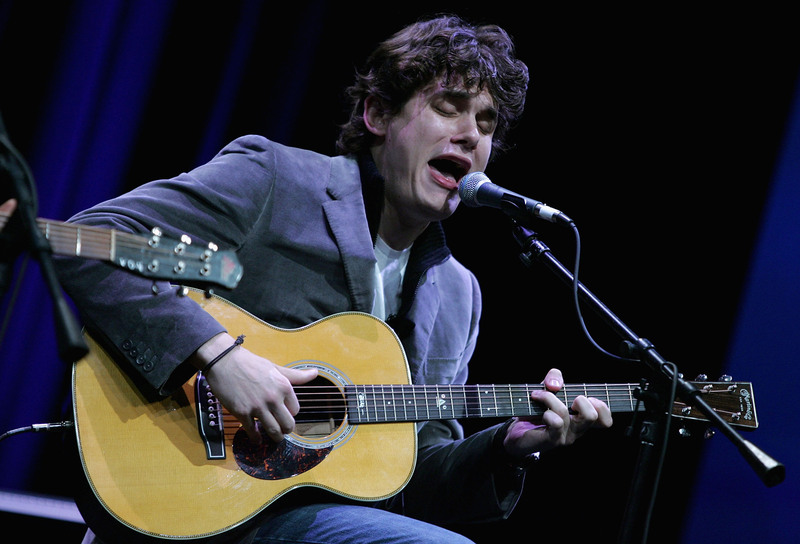 John Mayer is a curious guy and thus he has some curious fans. And by curious, I mean an unexpectedly wide range of people that you probably wouldn't see hanging out together at the mall. It’s sort of comical when you realize that those unlikely characters are packed into a concert hall or outdoor venue and are forced to coexist for about three hours when attending one of his shows. Such a unifier that dude, John Mayer. Always doing things for the greater good. Sigh. Although, not all those people are exactly “fans.” That is kinda what happens when you have outdoor concerts, no matter what genre of music you play. It's just an excuse for some people to drunkenly sway to music, any music. Nothing says "PARTY" quite like mellow, alternative rock music in the daytime. Typically, the culprits are underage and end up in the drunk tank before the opening act leaves. This is where the awful future of America meets and later procreates. Thus, basics, everywhere. Using your girlfriend as an excuse to partake in the jam sesh? Tsk, tsk. And sing the lyrics LOUDER and SOONER than he does. CAN IT, show-offs. You do NOT speak. I don't CARE if he's been laying on his back playing guitar for the past 15 minutes. Watch and learn. Without fail, there are always those people scattered throughout the lawn that are stiff as a statue. Like catchy music and expert guitar playing physically pains them or something. Maybe they just hate his headbands. I hate his headbands. You sort of do a double take, but then you find it endearing as they sing along to "Why Georgia." Because they have sensitive sides, too. Okay? Okay. Fully committed stoners go to Dave Matthews Band concerts. NEED to get better reading glasses. Pretty sure it's a requirement. PEOPLE WHOSE KNOWLEDGE OF JM STARTS AT "YOUR BODY IS A WONDERLAND" AND ENDS AT "DAUGHTERS"
There should be a John Mayer trivia quiz to simply get past the bag checkers. PEOPLE WHO HOPPED ON THE BANDWAGON AT "BORN AND RAISED"
It's a weird crowd. It was a weird album. I admire their bravery, I do. But who do they passionately serenade if John surprises the crown with "Dreaming With a Broken Heart?"